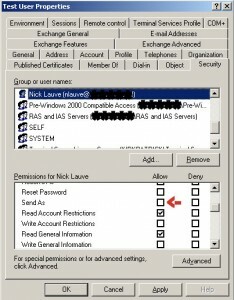 Problem: In your Microsoft Exchange organization, it is necessary for several users to send email from the same email address. For example, let’s say that there is a generic email address “theboss@yourorganization.com” and you would like certain members of your staff to be able to send emails from that address, but still have their own mailboxes as well. On a domain controller, open the Active Directory Users and Computers Administrative Tool. 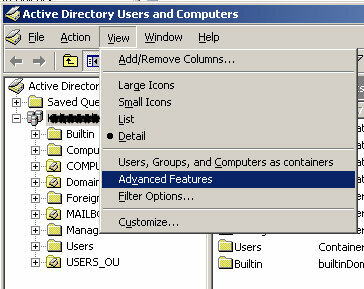 Under the “View” menu, select “Advanced Features”. Locate the user account or address object that you would like other users to be able to send as. Right-click that user and select “Properties”. 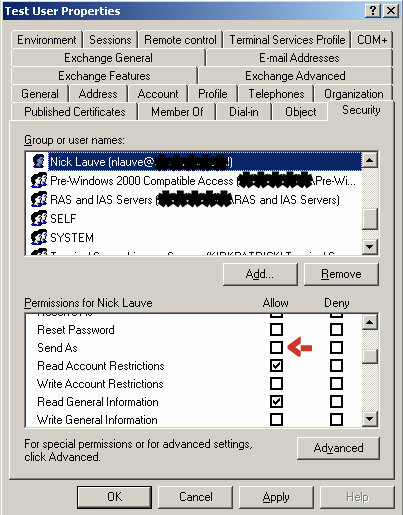 Add each user or group that you would like to be allowed to send email from this user using the “Add…” button. 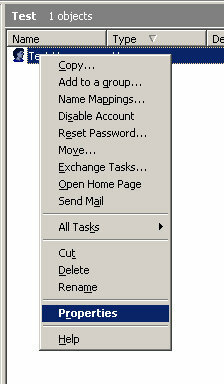 For each user or group added, check the “Send As” permission. 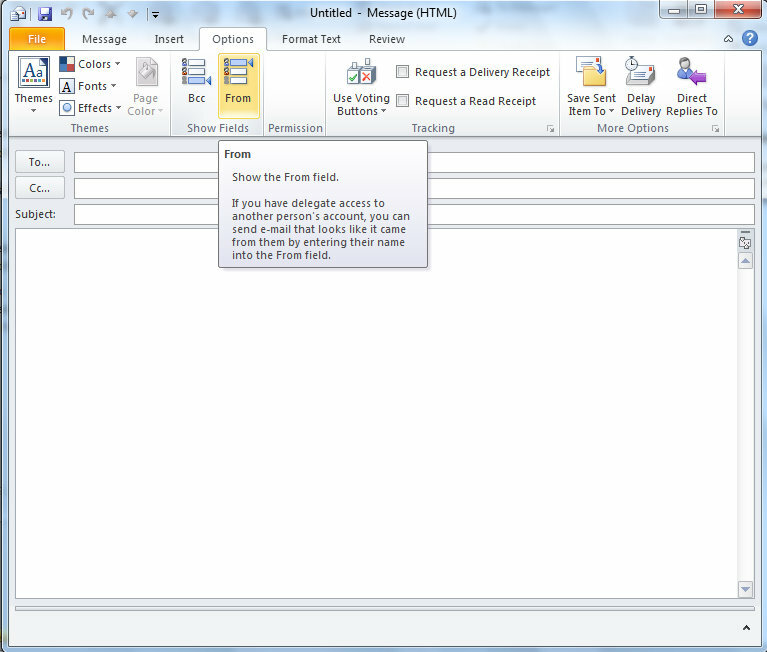 Each user’s Outlook profile must be set up to show the “From:” field when creating new emails. 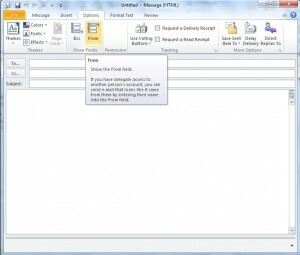 This will allow the user to choose whether to send email from their own mailbox or from another user’s mailbox that they have been granted “Send As” permissions to. If the user has only one account, this is hidden by default. On the ribbon menu, select the “Options” tab. In the “Show Fields” section, click “From”. Click the small down arrow next to “Options”.